Editor’s Note: We have started www.foodblogengine.com where we dive into all the behind the scenes of our six-figure online business. My interest in understanding website traffic and food blogging SEO first started way back in 2010 a few months after we started this blog. There were a few early posts that seemed to get all of our traffic and not knowing anything about blogging or how traffic on the internet really worked made me curious why these posts seemed to get attention and the other ones did not. We had one post which was ranked on the first page at the time which was Banana Nut Muffins. I don’t even remember what the keyword was in fact it might have been for the image Lacey had at the time. It was just so interesting that people would go searching for a recipe and somehow wind up on our site. We also had a few posts that apparently had backlinks from sites that were bigger than ours which was super cool. Some of these were from tools like stumble upon and some were from other sites that aggregate this content. Most of our initial traffic came from backlinks. For food bloggers some, of this is relatively easy to get with food aggregator sites like foodgawker and tastespotting. But, there are also some content curation sites like Buzzfeed and the Huffington Post that have featured posts like “The 10 Best Watermelon Recipes” which might include our post on Watermelon Sorbet or “Sneaky Veggies” which included our Cauliflower “Mashed Potatoes.” These links help in a few ways. One is they give you traffic when they first come out. Another is they give you a backlink that typically has good anchor text which really helps with your ranking. Like in the example from our site, I recommend you make it easy to have social sharing. More and more, that seems to help with SEO and determining good quality content. While this hasn’t been verified, there seems to be a correlation. At a minimum, it makes it easier for others to find the content and increases backlinks and more sharing even if they aren’t specifically from an authority site or directly related to SEO. So What Is Anchor Text? Search engines expect a certain ratio of good to bad anchor text so having links that aren’t as descriptive help too, just not as much as ones that have good text. However, it can be overdone. For example, if for some reason, you had 100 backlinks with the exact same anchor text, they figure out that you are gaming the system and that can reflect negatively on you as well. We can’t control what others choose to backlink to us with. However, we can control what we do internally. This is why it is a good idea to link to your own content on your site and present it in a manner that makes it easy to follow and useable for a reader. It’s a good idea to promote your best posts and talk about groupings of posts. If you have a lot of content about Meal Planning or maybe a specific diet, make sure to focus on that and highlight for your readers. This will also highlight it for search engines. This is also a good time to talk about Categories and Tags. Ideally, you don’t want a ton of categories. Your blog should focus on a few major ones. We use to have over 50 categories and now we have around 20. This is still too many. Ideally depending on your size and content, you want 8-12 and then a few tags for each of these categories. It has been a lengthy process to change them as I make sure we do it correctly. If you’re just starting out, try to think about this when choosing the categories you want. If you already made the same mistake we did, then you can try to figure it out going forward and stay tuned for a tutorial on the right way to change them. In the beginning, we went with ingredients as categories which obviously got crazy. Going forward, we are using concepts like Entrees, Sides and Appetizers as categories. Our tags will be things like 30-Minute Meals or diets, like Gluten-Free. We also had to figure out the best way to have ingredients. Being a food blog, it makes sense to have people be able to search and find things based off what is inside a recipe. 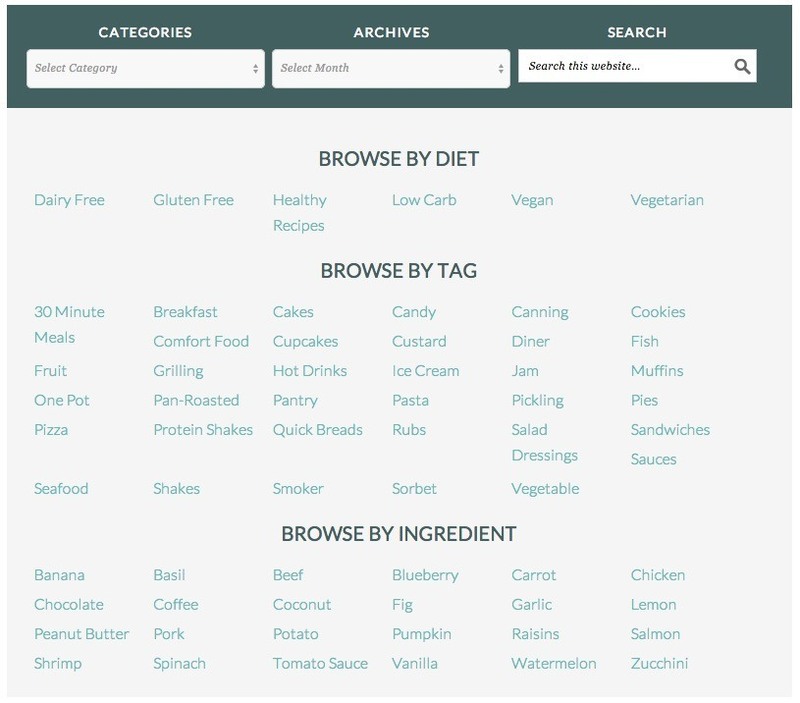 In order to accomplish the Ingredients list, we used this custom taxonomy plugin to create an Ingredient taxonomy and then used that to add the ingredients. it works similarly to tagging, but keeps it separate since we will have hundreds, if not thousands, of ingredients over time. You can check out the ingredients that we have set up on the recipe page. Another key thing for food blog SEO is recipe schema. If you’re interested in the technical details for recipe schema, you can go here. Basically, search engines now use schemas to better determine what the core pieces of data are for specific concepts, like recipes or video. Another benefit of this is it helps control how things are displayed for search engines. 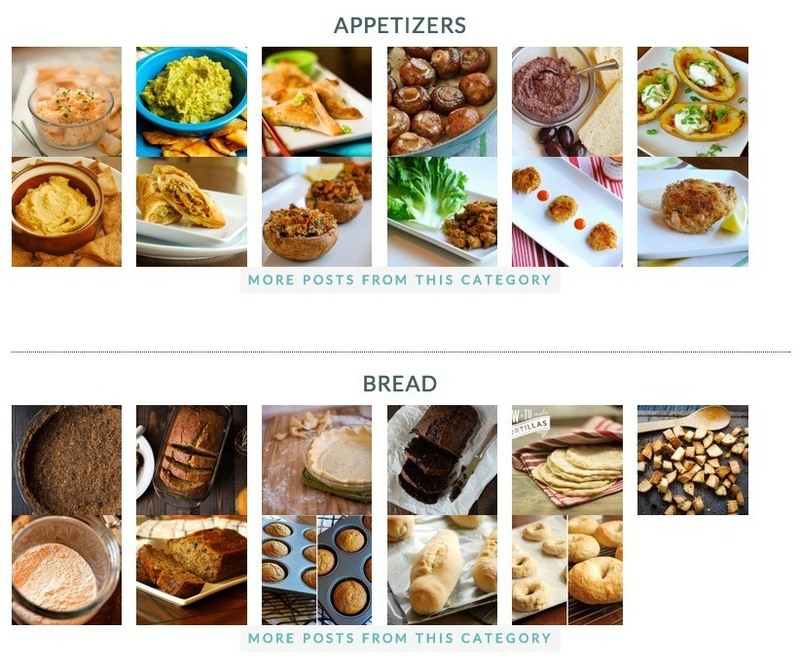 So, we can feature images, titles and descriptions of our recipes along with ratings that people leave on the recipes. This encourages better click-throughs on the search rankings. The more click throughs and the more time people spend on your recipe page, the better since Google uses all of this information to help determine which pages have the best, most useful, and accurate information for that specific search term. The way I look at it is it’s Google’s job to show the user the most relevant content for that topic. So, if we can create that or do our best attempt at creating that, our chances of ranking higher increase. Luckily, wordpress has a few plugins that help us with this so we don’t have to do it ourselves. We use Easy Recipe Plus. There are a few others out there, like Recipe Card and WP Ultimate Recipe. Easy Recipe Plus has been good for us and I have no real complaints on that front (and I haven’t used the others). In the future, I think a review of all the options out there might be useful. Another real key for food bloggers is to make sure you fill out all the image information. As food bloggers we tend to have a lot of really useful pretty images so we need to make sure that we take advantage of this and fill out the alt text and have good names and descriptions for these images. I know we have ranked for on the first page just by having really descriptive, useful meta information for our images. For example, our Roast Beef Recipe has alt text “Roast Beef Recipe” and ‘How to Cook Roast Beef.” This helps the search engines know what is in the images. We also try to target the seasons when planning out our content. This might seem obvious, but in the summer, we like summer recipes. At Thanksgiving, we like Thanksgiving recipes. When watermelon is in season, we like watermelon recipes. Making sure you have recipes for every time of year and that you have recipes for specific ingredients can really boost your blogs traffic. This is especially true if you focus on one area that is really your strong suit. For instance, if you had a vegetarian blog and you could have a handful of recipes for every vegetable in season during the summer, you would be able to organize your content in such a way for people to know you were the go-to place for these types of recipes. Plus, search engines would also recognize that you have lots of good squash recipes, for example, so you would more likely rank for squash keywords and related recipes. When trying to figure out what keywords we want to rank for, there are two scenarios: (1) A new post that we are looking for our initial target, and (2) An old post that we are trying to improve. First, lets address a new post. We use a couple of things when doing this. Usually, we look for an area of our blog where we need more content. Specifically, we have been trying to address not having enough of really common, useful recipes, like Cinnamon Rolls or Hearty Beef Stew. We want our site to be a place were people can come and get No-Fail recipes, ideally for almost any classic/comfort recipe. We have found that our audience resonates the most with these types of recipes and, when we have made tweaks to standard recipes like our Orange Scented Blueberry Muffins, they just don’t resonate as well (Totally, try those muffins BTW – one of my favorites on the blog). So, with that all in mind, we have a list of things we want on the site, things that people always ask for and we don’t have yet. After we pick one of these, we then dive into figuring out what keyword we want to target based off this new post idea. That’s where Scribe comes in. Scribe has been really an awesome tool to use. At first I was super reluctant to pay the money per month it requires but, since we have started using it, I really can’t get enough. For each post, you can stick in a keyword. I usually just start with the common name for the recipe, like “Cinnamon Rolls” then from there, Scribe will show you a bunch of options. You look for one that has less competition and good amount of searches. If your site is just getting started, I would target some of the smaller ones with very little competition. Then, later, you can work on improving that as your sites grows. Once you pick an option you can see how you compare to others for that keyword. Scribe will give your page and site a rank for that keyword and some tips on how to fill everything out. It will also let you know if you haven’t set up everything. There are a lot of good SEO plugins for filling all this information out. Currently, we use Yoast WordPress SEO and I have tried Ultimate SEO and used built-in SEO options with Thesis. My favorite is Yoast but if, you are already using a Thesis or Genesis built-in theme, that seems fine also. Ultimate SEO was a little cumbersome for me, but it still worked fine. The Yoast plugin does a number of cool things. First, it allows you to fill out all the information for the post really easily and gives you a score on how you are doing. It also has the ability to do 301 redirects and, in some cases, like when you change your urls, it will add one in for you. This is super useful when reorganizing your site after years of not organizing it correctly. Another really helpful feature is the sitemap generator. It’s important to have sitemaps for your content. There are two kinds: HTML and XML. The HTML ones are pages where you have a series of links to all the different pages that are on your site. You can see ours here. These are used for visitors to easily see a full list of everything if they want but also for search bots to find everything that is on the site. The XML version is for search engines. So you can go to Google Webmaster Tools and Bing Webmaster tools and submit your sitemap to them so they know to crawl it and index your pages for search. We also use the Yoast Video SEO plugin which creates a sitemap for all of our video content, too. We also, a while back, got a Yoast Review which was super helpful in figuring out what we were doing right and wrong in relation to SEO. This led to us changing some of the ways the site is laid out. Making sure to add easier search functionality, breadcrumbs, etc. were some of the takeaways. Most importantly, I think it allowed us to clean up some old posts that had a lot of authority but were not targeting good keywords. A great example of improving old posts is our How To Cook Roast Beef post. In the past, we never received traffic from search for this post. All of our traffic to this post was from social and most of that was from Pinterest. As I did more research, I realized we had just targeted the keyword “roast beef.” Super generic and a ton of competition. So, we decided to target “How To Cook Roast Beef” instead. We went from unranked to top of the second page in a few months. We also started getting traffic from the keyword “roast beef recipe” just by making a better effort on our page to fill out all the information, add recipe schema etc. Now, we get over 400 people a day to that post and over a thousand a day on Sundays which is a big day for roast beef since it takes longer to cook. So the goal is to create more of these, right? How do we do that? The process I used started with looking at Google Webmaster and Scribe. I usually start this process with Google Webmaster Tools or Market Samurai and Google Analytics. I like to find a post that maybe we are on the 2nd or 3rd page of a specific keyword we weren’t targeting. I also don’t want to ruin a post that already has good traffic or maybe ranks for a better keyword already. So, I look at the keywords we receive traffic from and find one that looks “good.” I usually define this as some traffic but not a lot, maybe 1-10 visits a day for a keyword that intuitively should have more if we were on the first page, like “roast beef recipe” or “easy banana nut muffins” or “best mint chocolate chip ice cream.” These are all examples of recipes I know more that 10 people search for a day. Going back and fixing old posts I find to be a good idea because we learn more about what makes good content, what terms people search for, how to make a recipe better or maybe add some video. I also look at how much traffic comes to the post in Google Analytics from Google. This gives me an idea of whether or not we already rank for a good keyword for that post. Once we have a good idea of what post we will try to fix up next, I move the investigation to Scribe. This allows me to check a few keywords real quick inside the admin panel in wordpress on the post I am about to fix. After comparing the keyword’s competition and popularity, I will be able to select the best fit. This isn’t always as clear cut as we would like. But, remember the goal is progress, not perfection, and ranking for any of these keywords on the first page will likely be an improvement from not ranking for anything. At this point, I use Yoast to set the title, meta description, etc. I also update all post to make sure that it focuses on the keyword. Usually, this means telling Lacey 🙂 but if you are the content writer for the recipes as well then remember to still write for a user, not for google. You want the post to be natural, not filled with keywords. We also update the titles and, in some cases, the url as well. Yoast will take care of the 301 redirect for us so we don’t lose any traffic or ranking from the old url. The next step for me is to stick the keyword we want to rank for into a software that tracks all of these for me. I first found out about Market Samurai way back when from Pat Flynn as it seems a lot of people did at the time lol. Back then, I used it to do the link tracking and keyword research. Now, I use it primarily for keyword research. However, if you’re just getting started, you can do everything I mentioned above with Google Webmaster Tools for free — it’s just not nearly as fast or as easy. Now, they made a service for Link Tracking called Rank Samurai Tracker that you can access inside Market Samurai. I set it up to track all the keywords we are interested in and to get a report every week on their progress. It helps diagnose any problems that start to happen along with paying attention to improvements over time. For every page or post, we try to rank for a specific keyword — sometimes it is one with a lot of traffic and sometimes it is one with less traffic. Either way, it makes sense to try and target something specific, rather than just guessing and hoping. In this example, you can see some of the keywords we are monitoring for how their ranking is going up week to week after our changes. There is also a high level Overview report each week that tells you really quick some of the movers and shakers. I would like to leave you with an action plan for improving SEO. I like to start with some of the low hanging fruit first so we get some wins under our belt. Make sure you have a good SEO plugin. I recommend Yoast WordPress SEO. Make sure each post has a keyword and that other SEO data, like title and description, are set correctly. Set up Recipe Formatting plugin. We use Easy Recipe Format. Make sure all your recipe posts are configured to use the recipe plugin. Start organizing your content. Start with thinking about your tags and categories. Everything goes from there. Think about new content that will fill out seasonal or categorical groups where you are missing content. Investigate an old post using Scribe and the plan above. Try to target a keyword for an old post. Update any urls that need it, making sure to setup 301 redirects. Create a new post and do more investigation using Scribe and Market Samurai or Google Webmaster Tools. I’m just starting out on my online journey, thank you for the valuable information. I’ve already used Scribe and had great results so far. Thanks again! Nice & helpful tips. I’ll try to follow – Thanks !!! Love the content! Our Site will be taking some of your recommendations! Deanna I am actually in the process of rewriting and updating this post we use https://ahrefs.com now instead of scribe since its no longer available. Thank you so much for this. I want to have a food section for my blog and this really helped me. It take a lot of time and patience thanks for stopping by. Do you still use Scribe? It seems like the plugin hasn’t been updated in over one year?! We actually just switched to something else and I am working on updating this page to reflect the new process we use. For the longest time we still used scribe since we were grand fathered in after they stopped selling it. I totally forgot about Scribe! I had a grandfathered version installed on a work blog, but rarely used and let it go. Now, thanks to your post, I see what I was missing. Time to use it on my blog. Thanks for the tutorial. Your welcome Katherine 🙂 Good luck! An excellent article…well-written, easy to grasp, and most of all, sooo generous of spirit! I can’t estimate how much time you have saved me by sharing all you have learned so far. Your welcome thanks so much for the kind words. This is an excellent resource and I am bookmarking so I can revisit the action items. I am a relative new comer to food blogging. One of the things I am struggling with is organic traffic. It’s pretty much non existent. Most of my traffic comes from Social Media and Foodgawker. I’ve also noticed that I am getting no backlinks. Any advice you can give about getting high authority backlinks is appreciated. Tim thanks for stopping buy I’m glad you liked it. One of the ways we have found is to focus on creating linkable content and then resharing it often and even guest posting back to it. You can find linkable content ideas by looking at other sites that rank ahead of the keywords you are hunting for and seeing where they get their links. Hope this helps. Thanks for all the tips! I’ve been blogging for over 7 years about our travels, cooking and living on our boat. However I just discovered the world of food blogging this past summer thru Food Blogger Pro podcasts, I never realized there was the possibility of making $ with a blog. It’s great to see you two achieving your goals and you both seem passionate about your work, keep up the good work! Thanks for stopping by and such nice words. We have really learned to love what we do 🙂 Let me know if you ever have any questions. Hi Dustin. Thanks so much for your helpful & through article. I am a new food blogger and also trying to wrap my head around how to create quality backlinks. I have recently been through all of my recipes (i dont have alot) and checked the SEO’s and they are all updated so they are marked with a green light. So i guess thats positive. I just have one question though, do you feel that it really is a matter of time to build up these backlinks, or is it something that we need to persue actively everyday? I feel like I am wasting a lot of time currently daily trying to create backlinks and am unsure if they are worth the effort. With food blogs I think the main goal is backlinks back to the domain rather than individual posts. 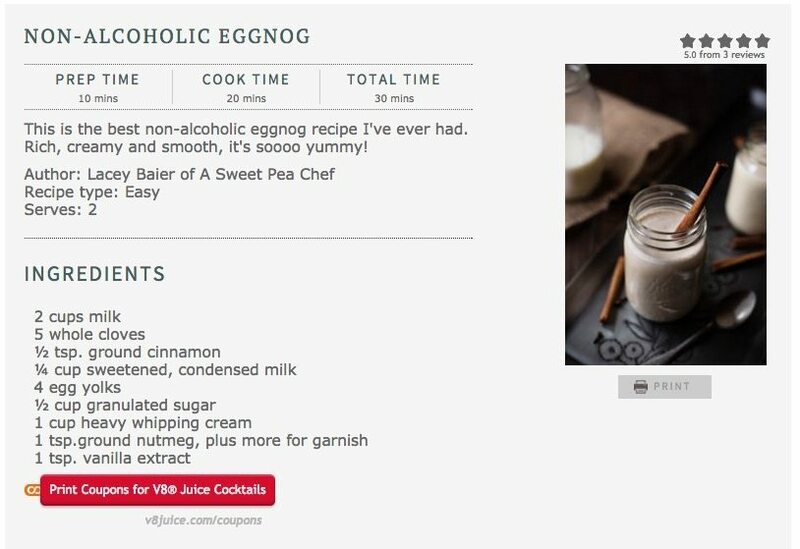 It’s a lot harder to get people to link to your version of a recipe when there are so many out there. However, if you can think of a good way to generate backlinks to other types of articles that supplement your recipe posts this can work real well. For instance writing a few guests posts in an area you are an expert it can help. Creating shareable content also does the trick like income posts or guides on things i.e. the definitive guide to making perfect bread or something like that. How important are backlinks in your opinion? After months of blogging I struggle to get over 10 organic hits a day, whilst people who have been blogging for the same amount of time are getting hundreds. After checking on buzz sumo I can see they have submitted to food sites like foodgwarker – in your opinion are links from this sites a needle mover? and do you have any more sites you’d recommend looking at? Nick, thanks for stopping by. Backlinks are really important. Backlinko goes into a lot of great strategies but this post on all the google factors or this one on the skyscraper technique are a good starting point. If you are just starting out I definitely recommend foodgawker also how well a post does on pinterest seems to correlate as well. This post I have also has a list of all the traffic sources for food bloggers. Thanks so much Dustin for the fast response. Can I just ask is Foodgwarker et al actually effective at getting my site SEO juice, or is their main usage just to drive people to the site? Yea sure I don’t have as many comments as Lacey does to go through so I usually get to them faster. It really depends on how many links you already have If you have none then any links from a decent source are helpful. Plus traffic puts it in front of more eyes and a lot of places that write listical style posts look on food aggregators like foodgawker and pinterest to find recipes for this. So it’s a little bit of a combo. Great, well I pretty much none, so it sounds like submitting to these sites would be beneficial to my Google ranking? Just one more thing too: do you have any tips on how to get in on Buzz feed style list posts? Would you approach the writers directly? Nick yea in the beginning everything helps. We have approached them directly and just created content around concepts they are interested in at the moment. In August watermelon or anything cauliflower right now. The more creative the better it seems. You’re welcome! So glad you found it useful 🙂 Let me know if you have any questions. Thanks Dustin! This is great information. SEO is so overwhelming to me. I’m going to work on my targeting and keywords now. I started to do some keyword research and feeling a little less overwhelmed. I got a WP Plug-in called Redirection – since apparently Yoast no longer has 301 redirects? But I really like Redirection it keeps a list and tracks all your redirections simply! hmm I think it might only be on the premium version. but any redirection plugin that does 301s works to do make sure old urls still resolve and pass their ranking on. Oh, I will have to look into the paid version of Yoast. In my version there is no 301 redirect option. I’ll look again. Do you know if you change your business name, thus move your website to a new domain name if this is an effective way to do that 301 redirect from old website url to new url? Yoast is more for internal 301s depending on how many pages/posts you have and are redirecting a domain wide 301 can be tricky doing it in a plugin manually on each page. The easiest way is to setup your new site and then assuming the page/post slugs are a match ask ur hosting company to 301 redirect the whole site to the new domain matching on page/post slugs so http://www.domain1.com/test would go to http://www.domain2.com/test this is something your hosting company can usually do at the server level rather than having you do it with wordpress it will help the site load fast that way too. Ahhhh! That makes more sense!!! So I would have to transfer all my posts to the new website (keeping them on the old site as well) and then asking for a redirect? That’s the way I would handle it but i would verify your hosting company can do that. Justinas, sure no problem. Hope you found them useful. I need to get in and clean up my blog and get serious about SEO. I have some really good positions but it’s all by accident or intuition – no planning. This is a great resource. Obviously I use EasyRecipe since it was originally written for me but all those other tips and tricks – I’m way behind. Thanks Maureen. Yea we really like Easy Recipe. We just kept trying to build on top of each other learning from each successor failure and improve the next post or iterate on old content making it better.